The Personalised Antique Silver Plated Jewellery Box is an elegant piece from times gone by. 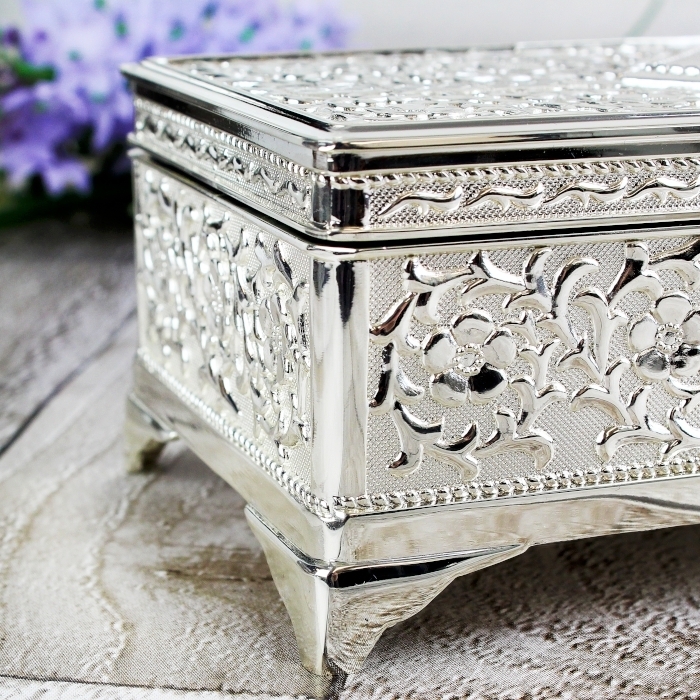 The design of the box is exquisite with raised sculpted flowers adorning the surfaces. 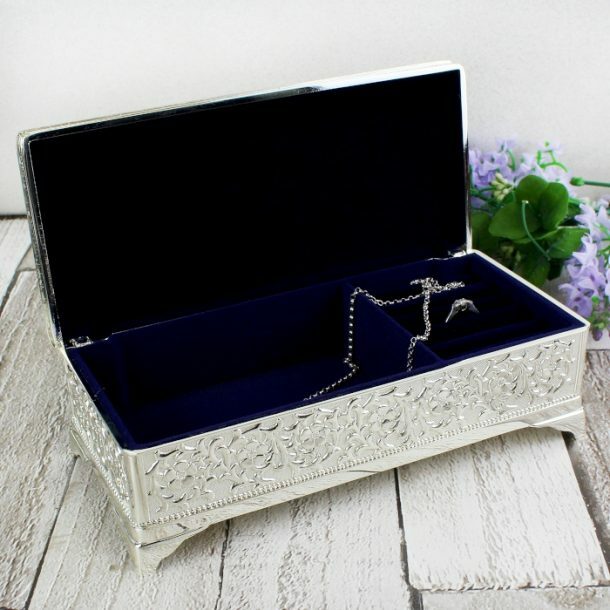 On the lid of the jewellery box is a diamond shaped plate where you can add any sentiment, so when the lid is closed everyone will see who kindly thought of such a wonderful gift to house her precious gems. The lid is hinged and comes with a blue flock lining to the interior to protect the trinkets inside. 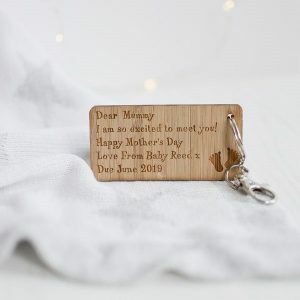 Measuring approximately 8.7 x 18.9 cm there’s plenty of room inside, and whilst your here why not take a look at our jewellery collection, and present the jewellery box with a ring, necklace or bracelet for her. 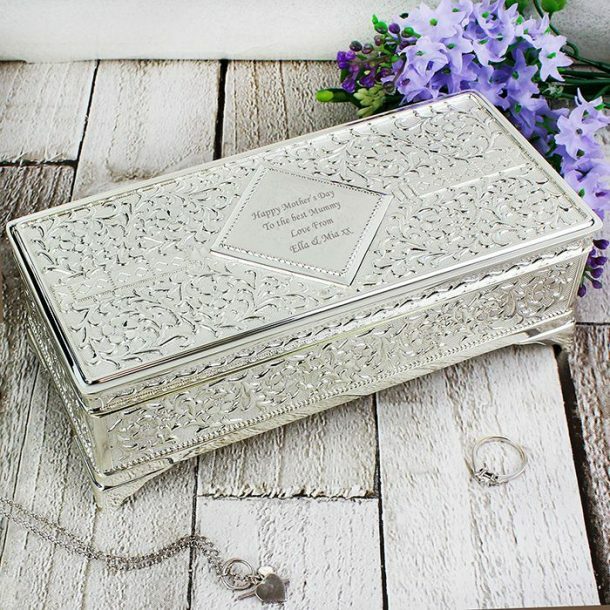 Personalise this elegant looking Antique Silver Plated Jewellery Box, with any message over 4 lines – 20 characters per line. 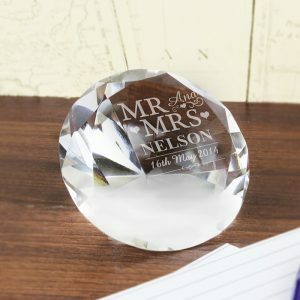 What better way for anyone to keep all their jewels safe. 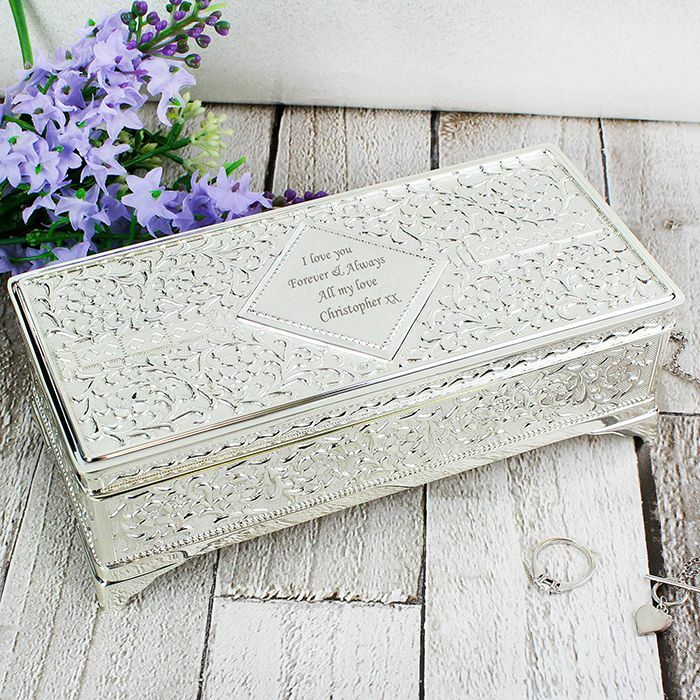 Our personalised jewellery box is the perfect gift for a bride on her wedding day. 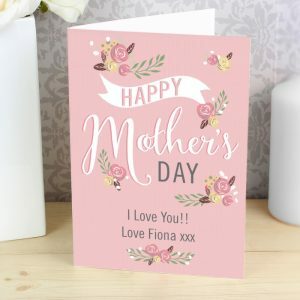 Bought a couple of weeks ago for mums mothers day gift. 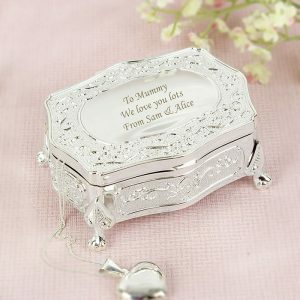 It’s a lovely trinket box and well presented. I made a mistake when i ordered the box and the customer service team rang me and sorted my order out. Efficient service i’m very happy, thank you so much love my gifts.